A classic design great for a night out or every day. 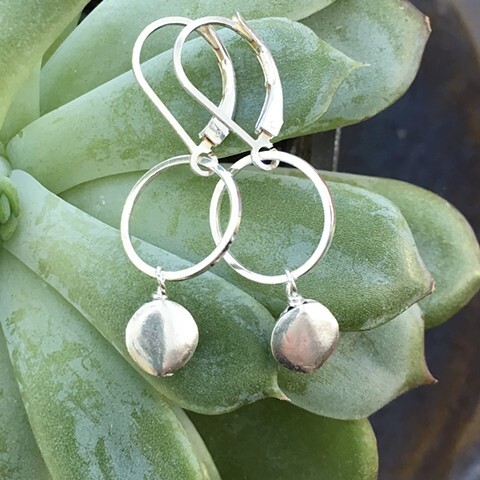 Sterling hoop with a fine silver disc drop. Sterling lever back ear wires.